The transcript alignment service is a 100% automated service where the quality of the output depends heavily on the user submitting the source text to adhere to the alignment service's best practices. When the best practices are not adhered to the output can result in sync issues between text and speech and/or encoding errors in the text. The Alignment Settings can be configured so when issues with source text are identified they are not finalized but instead sent to the Review Alignment File activity state, giving the user the ability to quality control their alignment requests. 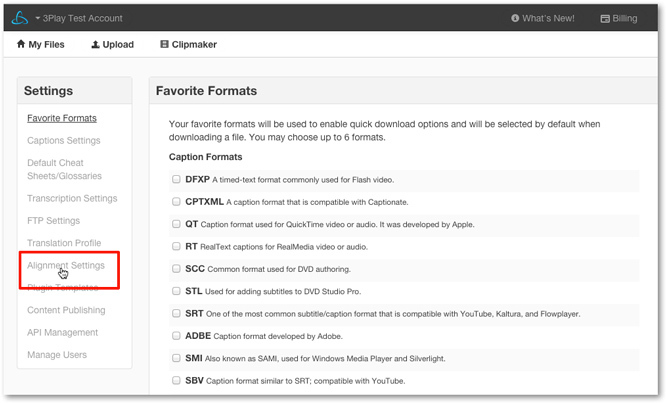 Once a file is in the Review Alignment File state the source text can either be fixed and re-submitted for alignment, canceled, finalized as is, or discarded then submitting only the media file for the default transcription captioning service. 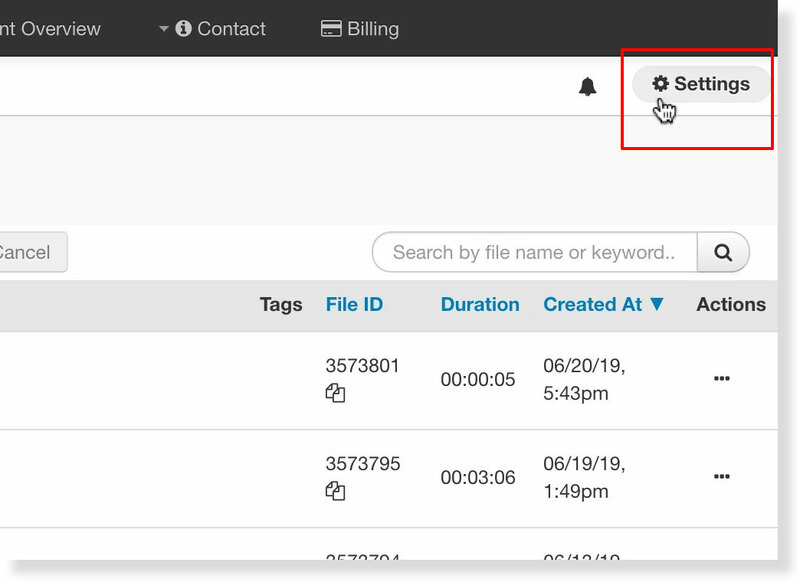 Follow the steps below to configure this setting for transcript alignment service uploads. By default, Never Review is selected meaning that all alignment requests finalize regardless of any discrepancies detected in the source text. 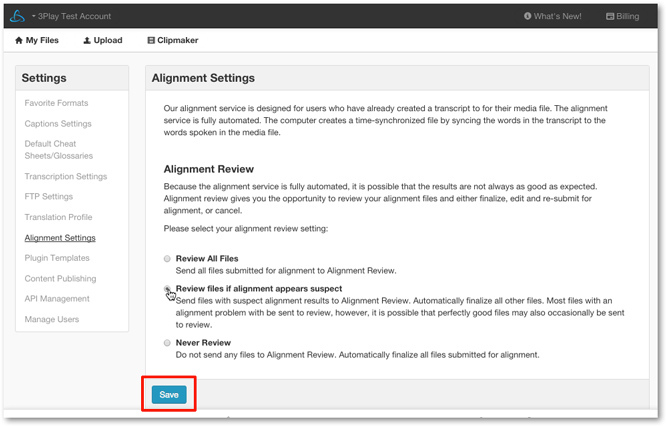 Select Review All Files to have all alignment uploads sent to the Review for Alignment state. Select Review files if alignment appears suspect to send requests with possible mismatched text and/and encoding problems to the Review Alignment File state but automatically to finalize files if our algorithm indicates they are well aligned. After choosing a setting click Save.